Malawian player, Gerald Phiri Jnr, who is yet to play in the Absa Premiership for Bidvest Wits, will have to wait longer for his debut. Phiri who joined the South African club from Caps United of Zimbabwe, is yet to show PSL fans what he knows about soccer as he is still waiting for his work permit. However, it will be difficult for the wonder kid to be registered as Bidvest Wits are about to sign and register an English striker, James Keene. 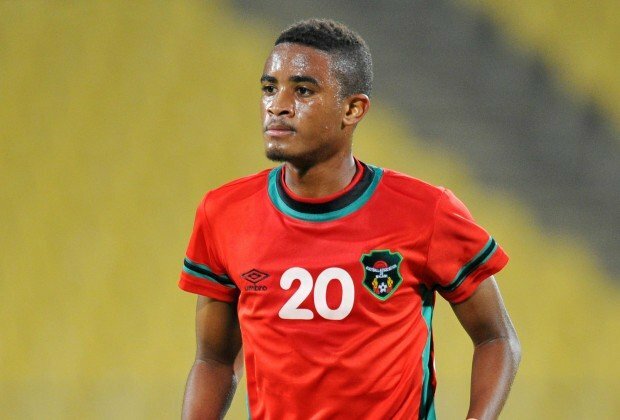 According to South African media houses, the possibilities are high for Keene to be registered rather than the Malawian who has been idle since the South African league started. Gerald-Phiri-jnr: No chance for him at Bidwits. If they sign Keene and register him, it means that the club will have reached the limit of registering five foreign players. Wits already have Papy Faty, Wangu Gome, Kris Bright and Joaquim Lupeta as foreign players and have only one foreign player space remaining. But according to Bidvest Wits Chief Excutive Officer (CEO), Jose Ferreira, has said that currently the club is working on Phiri’s paperwork and will make decision next week. “We should have everything sorted out at the end of the month but Phiri remains with the Club,” said Ferreira. If Phiri will not be registered, will follow path of former Blantyre United striker, Muhammad Sulumba, who did not been registered at Jomo Cosmos due to similar issues. Currently, the former Caps United striker is with Malawi national football team in Ethiopia where it will take in this year’s edition of Cecafa Senior Challenge Cup which will kick off today. Utolankhaniwu munathawila pawindo yet munkaphunzila pantengo shupita zako. Abwelere ku lali lubani,TIKUMUDIKILIRA mwana wathu. Nkhani imeneyi sindikuyimvetsa. Heading ndi nkhani zasiyana kutali. Timve ziti? Angofuna amuwonongere tsogolo mwanayi basi zikamavuta ingobwera ku bullets pano inalemeratu! Idnt knw abt Malawian players. tamakhalani serious polemba nkhani….heading ndi nkhani zikusiyana….